Имате въпрос към Villa Kapuru? При посещение в Негомбо, в Villa Kapuru ще се почувствате като у дома си, защото предлага квалитетно настаняване и отлично обслужване. Оттук гостите имат лесен достъп до всичко, което този оживен град може да предложи. С удобното си местоположение хотелът предлага лесен достъп до всички градски забележителности, които задължително трябва да се видят. Прави се всичко възможно гостите да се почувстват удобно. Затова хотелът предоставя най-добрите услуги и удобства. Гостите на хотела могат да ползват съоръжения като безплатен WiFi достъп във всички стаи, таксиметрови услуги, ежедневно почистване, пощенски услуги, 24-часова рецепция. Атмосферата на Villa Kapuru се усеща във всяка стая. Удобства като телевизор с плосък екран, хавлии, стаи за непушачи, климатик, събуждане са само някои от даденостите на обекта. Възможностите за отдих, които хотелът предлага са открит басейн, градина, които също предоставят бягство от ежедневието и предразполагат за пълна почивка. Villa Kapuru е добър избор за всички посетители на Негомбо, защото предлага спокойствие и безпроблемен престой. Переночевали перед отлетом. Чистенько, уютненько, отличный вайфай, хороший завтрак. Брали номер на первом этаже с выходом к отличному небольшому бассейну. Хороший ресторан - 5мин пешком Доброжелательный хозяин (или управляющий) - ирландец. I had to wait a couple of days for my friend to arrive so decided to wait at Villa Kupuru and I’m so happy I did . Nalaka and Dennis are fantastic hosts and are so warm and welcoming . All the staff are really lovely and so helpful. The location is great as it’s a quick walk down to the main road which runs along the beach where all the restaurants and bars are but because it’s a couple of mins walk away from there it’s very quiet and peaceful and a real haven to return to each day. The rooms are in the process of being renovated and Dennis is working away each day painting and fixing things up . The swimming pool was great for cooling down after walking in the sun! However the best thing about Villa Kupuru is that they rescue kittens and puppies. If you love animals this is the place to be !! When I was there they had just found 3 of the most adorable kittens ever and two mischievous sweet puppies . The place really feels like home ! 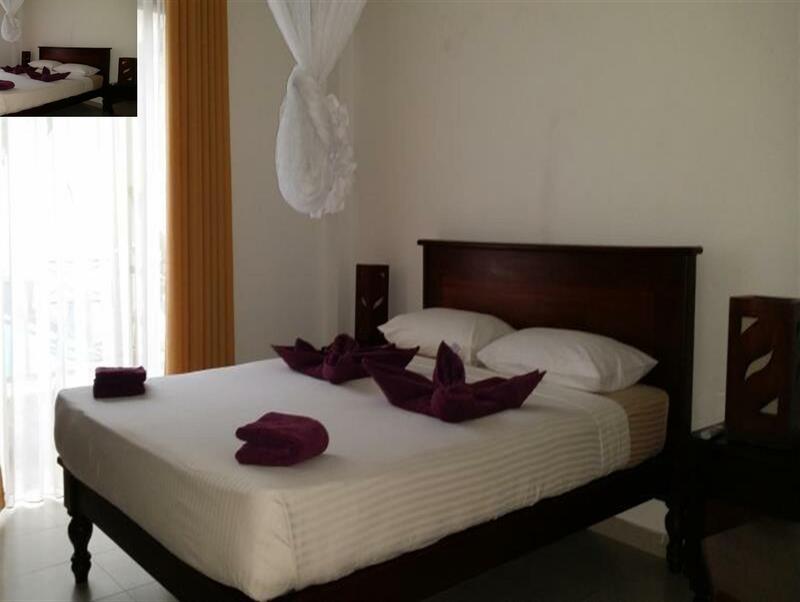 Villa Kapurna is a delightful place to stay and relax nearby the airport in Negombo. The owner is very kind and his staff are receptive and quick to care for your needs. Many good restaurants are a short walk away at the beach. The breakfast at the Villa was very nice and the pool was great! We loved our stay at Villa Kapuru. The rooms were spacious, modern, light and equipped with a small TV and fridge. The rooms were cleaned every day as was the pool. There’s a few sun loungers near the pool and some tables in the shade both of which were great spots to relax and read. The breakfast was amazing!! Curd, fruit, eggs, toast and coffee. All top quality, fresh ingredients. Service was 10/10. All the staff were very friendly and attentive going above and beyond. Their restaurant recommendations were all great too. Location wise - it’s an easy 5 minute walk from the main strip which has a variety of restaurants, supermarkets, an ATM, some souvenirs shops and access to the beach. It’s also about 1km from Kattuwa train station which is the line that takes you to Colombo Fort. Just an FYI there are dogs but they’re nice. If we’re ever back in Negombo this is where we will be staying! We only stayed one night but would definitely go back and stay longer next time. The place is beautiful, and the staff very friendly and helpful. They prepared us a delicious local breakfast and gave recommendations for a massage and good food in town. The cats and dogs at Villa Kapuru are lovely! very helpful ja lovely host and other staff. good and quiet location, 5 min walk to street with restaurants, ATM etc. they also have cats and rescue dogs so the place for animal lover. clean rooms. overall a great experience! Great choice for a stopover near the airport. Small, quiet, lovely ambience, very relaxing, with friendly and helpful staff. It was our last night in Sri Lanka and wanted a place that was near the airport for a morning flight as well as near a beach for fun. The good reviews about Villa Kapuru online were correct. Great place to stay, to chill away from traffic and crowds, and close to the beach. One of the best places that I've had the pleasure of staying in Sri Lanka. The pictures undersell the uniqueness of the place. The room was excellent and the bath was extremely clean. The pool was an added bonus. The staff were perfect - Polite and very attentive while always giving you the privacy. The best example of service. Finally, they take in stray dogs and cats which is a blessing all by itself. The fact a part of whatever you're paying goes to keeping these little guys and girls healthy is just wonderful. If you're a cat or a dog person, then this would the perfect place for you. Will definitely be coming back! Stayed one night on my way to Kandy. It was nice and clean, staff were so cooperative and polite. Breakfast was great. Wifi was stable. Beach within walking distance where you can find many shops and restaurants. I cannot recommend this place highly enough. I stayed here for four wonderful nights before a boat trip, and two after. Owners Denis and Nalaka treat their guests with the utmost care. 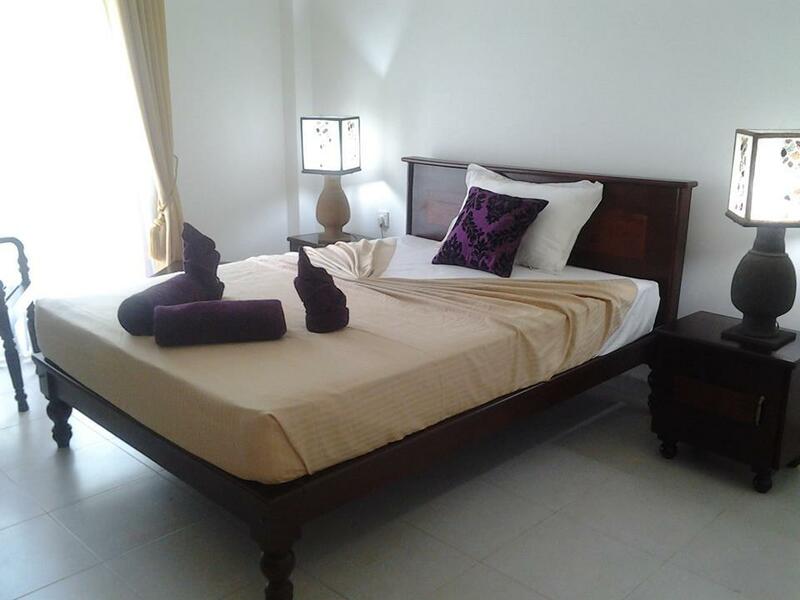 Rooms are clean and comfortable, the location is a short walk or inexpensive tuk-tuk ride from the main beach road, for shopping and restaurants and the grounds are an oasis of beauty and calm. Breakfast is served when the guest wants, not a set time. We also had some light evening meals there, as well as one wonderful Sri Lankan curry lunch; all meals are beautifully served and extremely reasonable in price. the curd and treacle at breakfast was my favorite. The service from the owners and their staff was without equal. No request was too troublesome. I have never received so much help from a hotel before, from a late night arrival and departure, to ordering tuk-tuks, finding a place for medical care when unexpectedly needed, to restaurant recommendations. Denis and Nalaka have rescued three dogs and many, many cats, which speaks to their caring and respect for all life, not just humans. I really respect and admire them for this. Having all these well behaved animals around really eased my missing of my beloved dog at home. I will be recommending this gem to everyone I know. You won't find a better place to stay in all of Sri Lanka! Tranquil, helpful staff, clean and comfortable. Lovely breakfast. I will hopefully return here. No complaints. I could not enjoy a lot of this place, i stayed there for my last night in Sri Lanka, however is an amazing place and the pets are lovely. I would def. stay there again! Villa Kakura is a real gem, an oasis of calm in the center of Negombo, only a short walk from the beach. 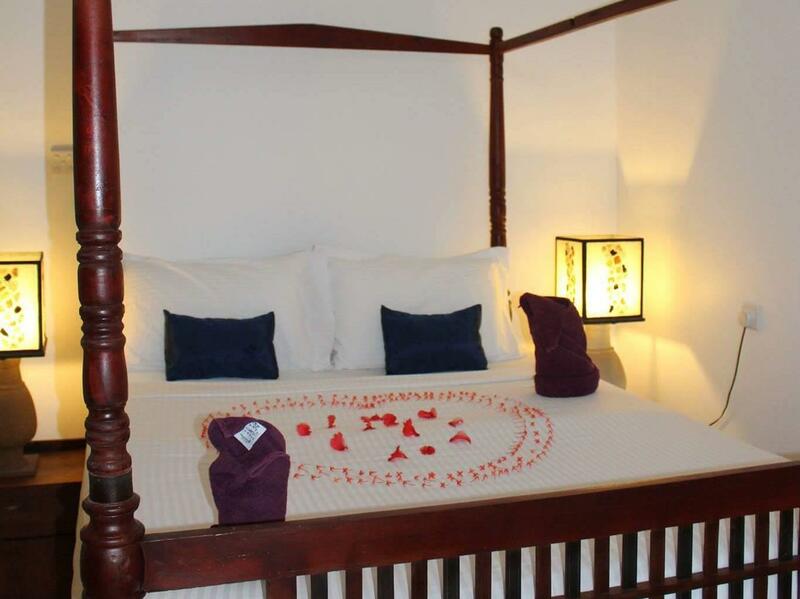 The rooms and common areas are tastefully decorated and bathrooms up to date and modern. Dennis and Nalaka are the perfect hosts and cannot do enough to assist you. The pool is perfect for relaxing and enjoying a cold Lion beer. Good selection of restaurants in easy walking distance. Full points!!! My husband and I recently stayed at this small hotel for two nights. We arrived a little early, so we had to wait maybe half an hour for the room, but we were given tea and coffee during the wait. The room was of decent size with a large bed and nice bathroom. Our room had a view of the canal which was fun - we saw a water monitor swim by. The breakfast was good and filling. The location is an easy walk to the beach and restaurants, even with some flood water in the streets. 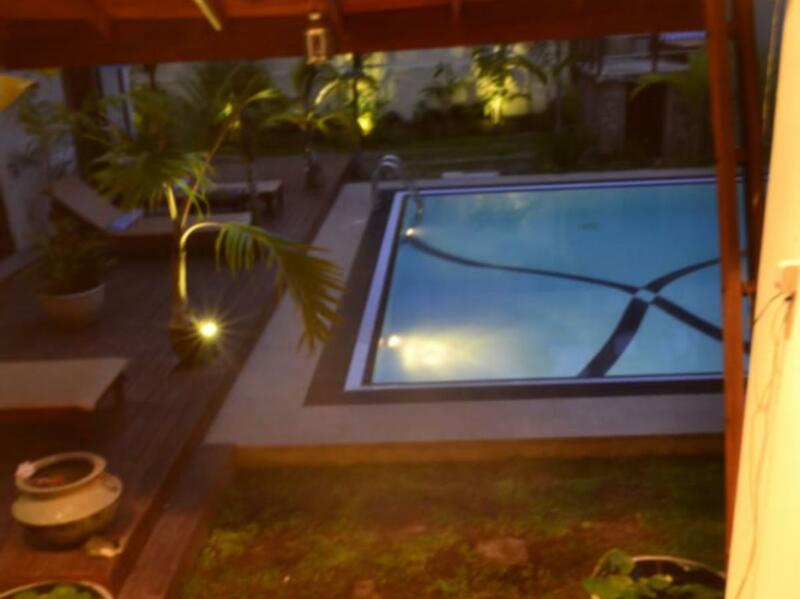 Overall, I would definitely stay here again, and I would recommend it to anyone staying in Negombo. Pros: + Location + Hospitality and the kindness of the team + Pricing Cons - Well, if you are expecting in-room dining / room service this is not the place for you, although they will try and accommodate you are provided the Bed and Breakfast Only. Overall : Fabulous, and thank you again for a great stay, will definitely stay here again soon. Denis is the heart and soul of this accommodation. Conveniently located and a great way to begin a vacation in Sri Lanka. We stayed 4 pleasant nights. Plenty of restaurants, money changers, small supermarkets and the beach a short and interesting stroll away. The canal tour boat picks up from the back door. The fish market is a fun and lively way to spend a morning. A tuk tuk there cost us only 200Rp. Would happily stay again.